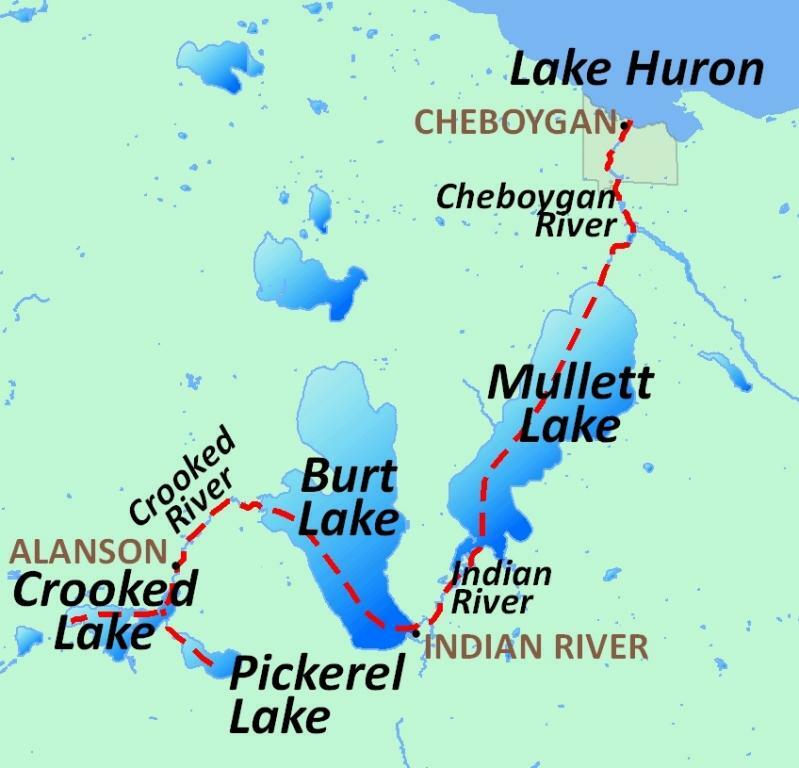 The Inland Waterway encompasses a 38.2-mile route from Lake Huron to Crooked Lake. In between, you travel the Cheboygan River, Mullet Lake, Indian River, Burt Lake, Crooked River and into Crooked Lake. This unique chain of lakes and rivers was once a vital means of transportation for the area. Visitors will travel through two locks - one located in Cheboygan and the other near Alanson. The 38-mile waterway is a unique adventure sure to please any boating enthusiast. From wildlife and scenic beauty to water skiing, tubing and swimming the Inland Waterway has it all. For more information, visit the Inland Water Route Historical Society at www.iwrhs.com.